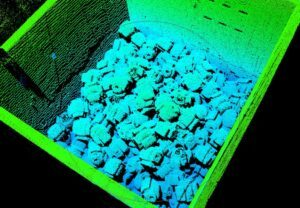 3D Vision enables the automation of tasks that have long been on operations managers’ wish lists. Many applications that needed to be automated for ergonomic, speed or quality reasons remained manual because a technical solution did not exist. There is no single imaging technology that meets the needs of every application. Kinemetrix uses a modular approach that allows us to integrate the imaging technology that best fits the application. 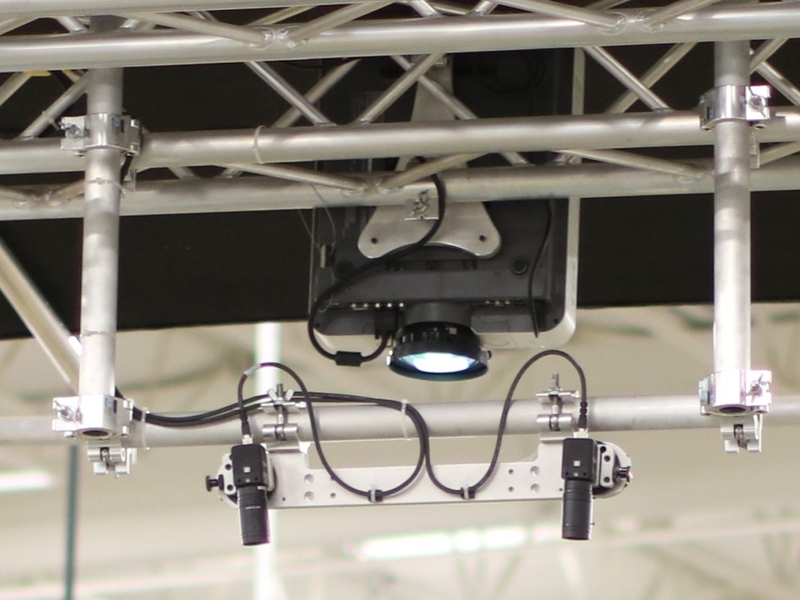 This cost-effective method uses a sensor package containing a projector and 2 cameras. 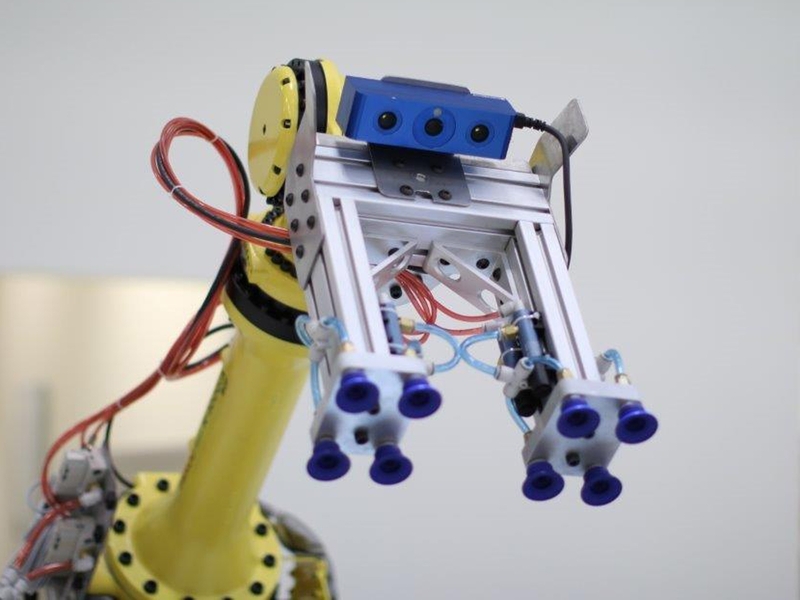 Flexibility is a strong point of this method as the sensor can be fixed or robot mounted. Multiple sensors can be deployed to image the same scene and combined in software. This can solve problems with occlusions (lack of line-of-sight) in certain applications. 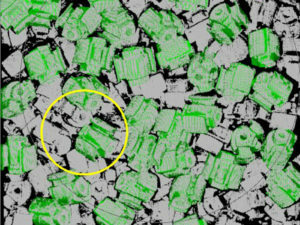 Imaging is very fast and resolution is good, but may not be good enough for the most demanding applications. This is the best choice if a moving part must be imaged. 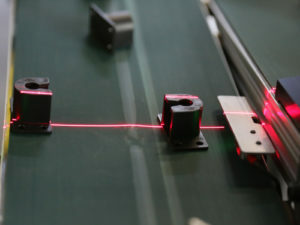 The solution requires the integration of a laser line generator, camera, and an encoder on a conveyor to build an image as the part moves. 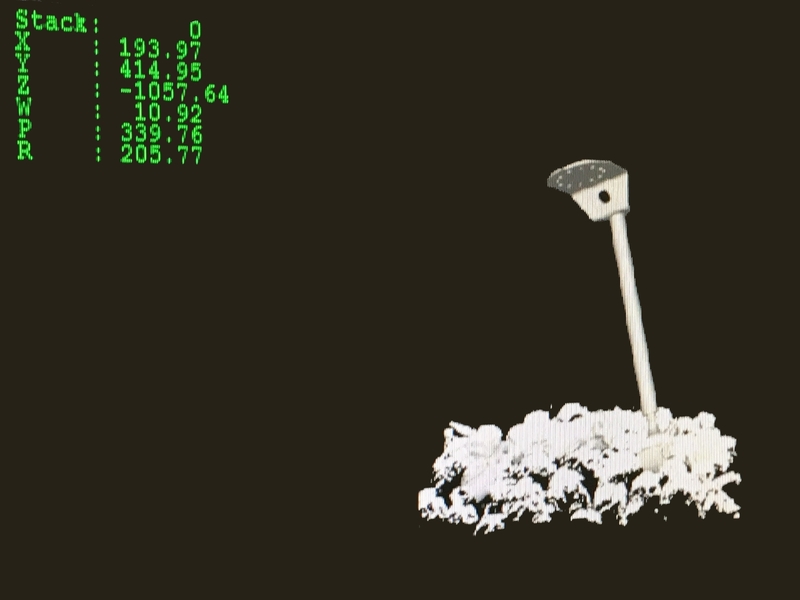 The part is tracked on the conveyor after imaging for robot guidance. Image resolution is excellent. This is the most powerful of the imaging approaches. 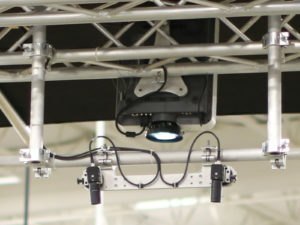 Most-often fixed mounted, this approach requires a brawny projector and 2 cameras. 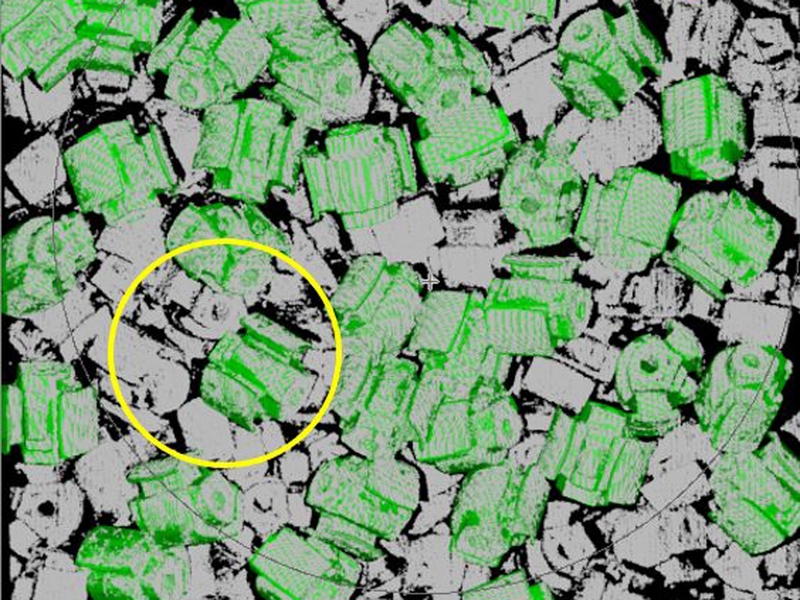 A powerful software algorithm generates patterns and maps those patterns to both cameras, pixel by pixel. The result is excellent image resolution. A large field of view with reduced resolution. Kinemetrix uses a proprietary hardware package that avoids the compromise, achieving a very large field of view while maintaining excellent resolution. The Machine Cognition module is the analytical core of the system. 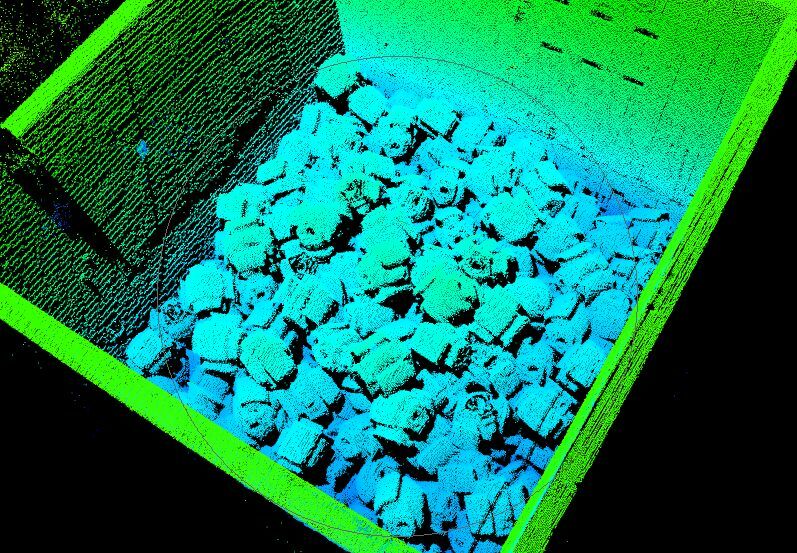 The data from the Imaging module is processed to identify and locate objects. Did we see the ear of our Mickey Mouse keychain poking out of the couch cushions? Or perhaps we saw the general shape of the keys hidden under a piece of paper? It doesn’t matter. The human brain can handle it. Our approach is similar. The Machine Cognition module allows a variety of identification strategies. Certain applications are well suited to a shape-matching approach – find Mickey’s ear – and others need algorithmic approaches – let’s investigate all suspicious lumps for my keys. Using multiple strategies at once further boosts the system’s ability to identify objects and report the location and pose to the Guidance module. Obstacle Avoidance is best understood by considering the bin picking application where a robot is reaching into a bin to extract a part. The preceding modules will identify a number of parts and provide location and pose information for them. When the bin is completely full, there is little risk of a collision between the robot and the side of the bin. As the bin empties, the solution must account for the sides of the bins and avoid sending the robot to pick a part that would result in a collision. Path planning is also well explained in the context of a bin picking application. An object at the bottom of a bin may be pickable without collision, but only when the robot moves to it along a certain path. Obstacle Avoidance provides a valid destination. Path Planning defines the route. Finally, the result of all the analysis must be rapidly and accurately communicated to the robot and/or PLC. Well developed, high speed communication protocols ensure a trouble free integration.